The Cantelli Orchestra was founded in Milan in 1992 by M° Alberto Veronesi. Starting from its debut concert at the Teatro Regio in Parma, it exhibited at prestigious National and International Music Festivals. M° Alberto Veronesi was the Artistic and Musical Director of the Orchestra over the first ten years of its activity. From February 2006 up to April 2008 the Orchestra has been under the lead of M° Romolo Gessi as Musical Director. M° Romolo Gessi today remains the Principal Guest Conductor of the Orchestra. 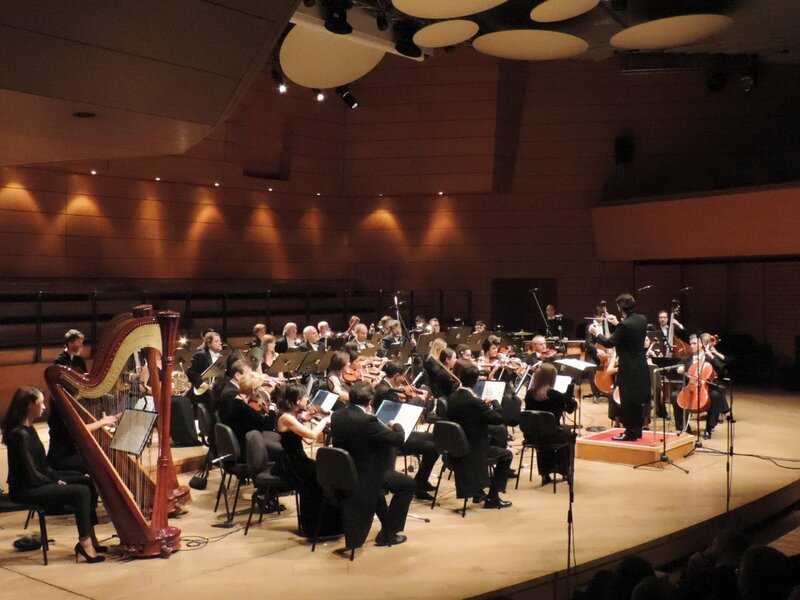 The Cantelli Orchestra held its own "Stagioni Sinfoniche" on a regular basis at the Sala Verdi of Milan Conservatoire, at the Teatro Dal Verme in Milan and also an annual Chamber Concert Series in the Sala Puccini of the Milan Conservatoire. In 1996 it completed a tour in the United States and was invited by Conductor Claudio Abbado to the Salzburg Festival, a venue where the Orchestra premiered a newly commissioned work by Luciano Berio. The Orchestra held several concerts in venues such as the Basilica di San Marco in Venice, the Teatro Filarmonico in Verona, the Teatro Bibiena in Mantova, the Sala Del Dolder in Zurich (CH), the Teatro Carignano in Turin and the Galleria dell'Accademia in Florence. It also performed in Palermo, in Rome for the "Istituzione Universitaria dei Concerti", in Schwamendingen, in Mentone for the "Festival De Musique", in Gand for the Stadtkonzerte and in Salzburg for the Schlosskonzerte at the Schloss Mirabell. The Orchestra has accompanied famous soloists such as Salvatore Accardo, Katia Ricciarelli, Dmitri Ashkenazy, Piere Amoyal, Aldo Ciccolini, Michele Campanella, Massimo Quarta, Luisa Castellani, Bruno Giuranna, François Joël Thiollier, Antony Pay, Bruno Canino, Jeffrey Swann, Domenico Nordio, Carlo Chiarappa, Radovan Vlatkovic, Bruno Leonardo Gelber, Stefan Milenkovic, Gabor Ötvös, Piero Toso, Anatol Ugorsky, Manuel Barrueco, Emanuele Segre, Francesco Manara, Dejan Bogdanovic, Paolo Restani, Michele Di Toro, Fabrizio Meloni, Gabriele Screpis, Francesco Di Rosa, Luisa Prandina, Francesco Tamiati, Michael Guttman and many others. Several composers dedicated their works to the Orchestra: Giacomo Manzoni, Ennio Morricone, Ivan Fedele, Luciano Berio, Mauro Cardi, Aldo Clementi, Adriano Guarnieri, Gabriele Manca and many others. The Orchestra has recorded several CDs with Classical and Romantic Repertoire, spacing from Čajkovskij Serenades to Dvořák "Italian Symphony" and Mendelssohn Violin Concerto with Salvatore Accardo as Soloist, but also modern works such as Schönberg "Verklärte Nacht" and Stravinskij "Apollon Musagete". A much acclaimed recording of Salieri's Falstaff for the Chandos label was awarded a prize at the Festival Discografico in Cannes. The repertoire of the Cantelli Orchestra goes from the classic Authors to the contemporary ones, with a number of musicians varying from 15 to 60. Since February, 2006, the Orchestra changed its legal status, with a new foundation as an Association of Musicians (they were Laura Magistrelli, Dmitri Chichlov, Claudio Giacomazzi, Francesco Quaranta and Curt Schroeter). On July, 2008, the Orchestra recorded a CD, with the first parts of "Alla Scala" theatre, on unpublished music of F. S. Mercadante. The CD has been published jointly with the number of December 2008 of the journal "Amadeus". On September, 2008, the Orchestra has been invited to the second edition of the MiTo Settembremusica festival, to hold a concert on music of George Gershwin; the Orchestra was also invited to the third edition, on September, 2009. On December, 2009, the Orchestra performed within the show "Ice Christmas Gala", at the Mediolanum Forum in Assago, Milan, playing during the show of the greatest ice skaters of the world. The show was broadcast on television on Christmas' day afternoon, on Mediaset network channel Italia1. On September, 2010, the Orchestra has been invited to the fourth edition of the MiTo Settembremusica festival, to hold three concerts titled "The season of turkish style" (in Milan, Venaria Reale and Como) on music of J. Lully, F. J. Haydn, W. A. Mozart, G. Rossini, L. van Beethoven and Giuseppe Donizetti. On the evening of 1st of January, 2012, the Orchestra performed within the show "Capodanno on Ice" ("New Year's Day on Ice"), at the Palavela, Turin, playing during the show of the greatest champions of ice skating of the world. The show was then broadcast on television on the same night, on Mediaset network channel Italia1. On September, 2012, the Orchestra has been invited to the sixth edition of the MiTo Settembremusica festival, to hold one concert on music of W. A. Mozart. On October, 2012, the Orchestra has been awarded the national biennial prize city of Novara "Umberto Barozzi" Sport and Art - ninth edition, for the culture category. On September, 2013, the Orchestra has been invited to the seventh edition of the MiTo Settembremusica festival, to hold two concerts (in Milan and in Turin) on music of P. Hindemith. On November, 2014, the Orchestra has been invited to the Guido Cantelli festival, to play a concert on music by Jean Sibelius, Richard Strauss and Felix Mendelssohn-Bartoldy at the Coccia Theatre in Novara.